Propeller Adventure is a game created for the 1-button gamejam. 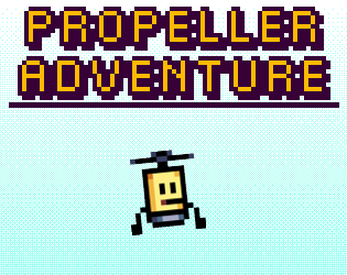 In Propeller Adventure, you play a robot with a propeller on his head, dodging other flying objects in the sky (sometimes just barely enough to rack up some points). Getting a close call on an enemy by moving out of the way just before it hits you will give you a score boost. Otherwise, you'll still gain points for just being alive. We hope you have fun playing our game!